Treat everyone, irrespective of age and position, with respect and courtesy. Be punctual and regular to school. Respect property and ensure that buildings, furniture and fitting are nor defaced or damaged by anyone. Maintain a dignified code of conduct. Stay clear of any anti social activity that harms or hurts self and anyone else. Avoid using inappropriate language in school, at home and outside. Avoid bullying or teasing fellow students in school in the bus or in your van. Treat school property as it were your own. Come to school in clean and appropriate uniform. E. Boys should tuck in their shirts neatly and wear the School belt everyday. F. Only girls with very shot hair are permitted to leave it untied but neatly combed and held back with a hair band. All others are expected to plait it on either side and tie it up with ribbons. Avoid taking leave for frivolous reasons. Regularity and punctuality are two virtues always admired by everyone. Students coming in early can start their handwriting exercises. No one is allowed to run about in the classroom or on the verandahs. Avoid coming too early in the morning. Take care of your personal property and also ensure that you do not for any reason use other students belongings without his permission or knowledge. Wait inside the school for the pick up vans to arrive. Do not linger around food carts, eateries and parks after school. Regular visitor to these places are targets for antisocial elements. Permission to leave early must be requested for by the parent or guardian only and only in cases of emergency. A gate pass from the Compartment Head is compulsory. Use of motorized two wheelers and four wheelers is prohibited by the school and by law. Ensure an environment of peace and calm in the school. Leaving and entering classrooms should be done in orderly manner. Always keep to the left of the corridors. Allow teachers to pass by stepping aside. Ensure that there is no noise while moving from one class to the other. Mobile phones and any other electronics equipment are not permitted in school. Any such object found will be confiscated. Use the telephone in the campus only for emergencies. Ensure that you put in at least 6 hours of regular study every day. Self study will enhance your study skills. Avoid tuitions. Homework is meant to consolidate what you learnt in school. Ensure that you do it regularly. Remember homework is not just written work; it is also means of reading your lessons at home. Avoid completing your homework after coming to school. It defeats the purpose of such an exercise. Remain honest always. Avoid any form of malpractice in tests and examinations. Report cards are a record of your continuous academics performance. Tampering with it is an act of dishonesty to your self and parents and will result in serious action being taken against you by the school. This is our school. Maintenance of the school is our collective responsibility. Make sure that the furniture is always neatly arranged, classrooms kept clean and table tops and walls are not scribbled on. Conserve electricity. Make sure that fans and lights are switched off when not in use. Your parents are welcome to meet the teachers. Make sure they fix appointment and meet them after class. 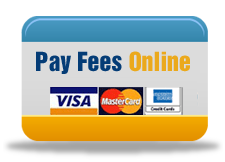 Payment of fees is your responsibility. Remind your parents to do so on time. The school trains you to be disciplined and orderly. This will groom you into a responsible citizen who can take the country forward. Conforming to the rules and regulations of school is part of this training. It will make your school life enjoyable and memorable.